I've listened to the track in my title about 50 times this week, so 80s, so good! I thought I would share some of my instagram photos with you, wont be making a habit of this because if you follow me on there (fatfrocks) it will get boring but I've had so much fun using my new phone. I think I might try and take at least one photo a day and print them all off at the end of the year and put them in my scrapbook, a bit of a 365 project. I know you're all old hands at this instagram malarkey but I've only just joined the modern world with my new android phone. 1. Wednesday saw me face my fears and do a talk about blogging in work. Scary stuff! I did eat a few too many Welsh cakes during the tea break though, can't be helped. 2. Treated myself to lots of new Lush goodies. 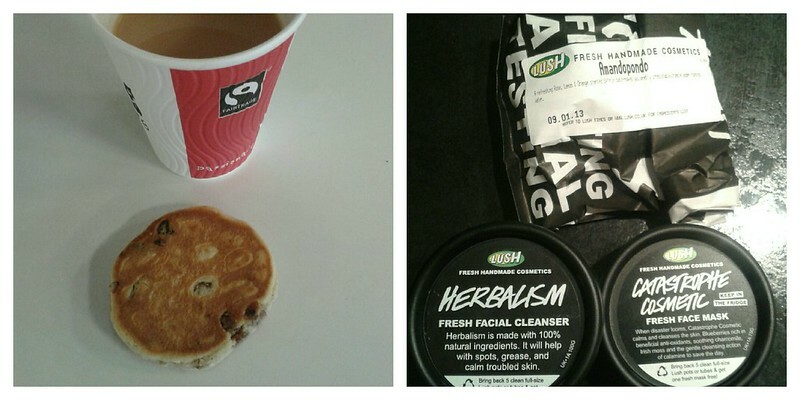 I'm loving Herbalism, great product for those with acne. 3. 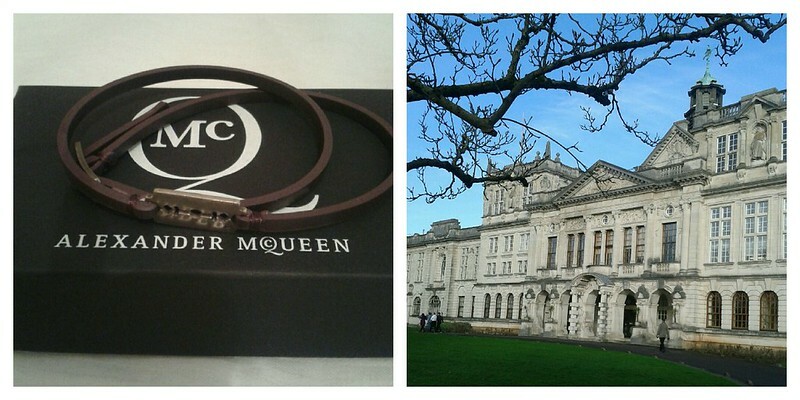 Made a cheeky little sales purchase from McQ, I'm allergic to most jewellery so the leather strap is great. 4. Trying walk a bit more on my lunch breaks and with buildings like this where I work I certainly don't get bored. Cardiff civic centre is gorgeous. This is the the Main Building at Cardiff Uni which is Grade 2 listed. 5. Bought this coat from Mango after trying to track down the perfect Glamour Twin leopard print coat for what seems like a lifetime. So happy to get my hands on this beauty and I can't stop looking at it. 6. Saw one of the greatest films ever on Saturday. Took my breath away, been listening to the soundtrack non stop since and I want Jackman to win an Oscar. AMAZING. Love the coat and that bracelet is gorgeous! That coat is amazing. One can never have enough leopard print, although one should never wear it all at the same time!! Oh my, welsh cakes... I miss them so bad. Ones in England aren't the same! I miss Wales. I swear as well I could buy everything in Lush, I really have to control myself when I go in! Coat looks lovely, so hard to get a nice leopard print coat that doesn't look Pat Butcher/Kat Slater but this looks really nice. 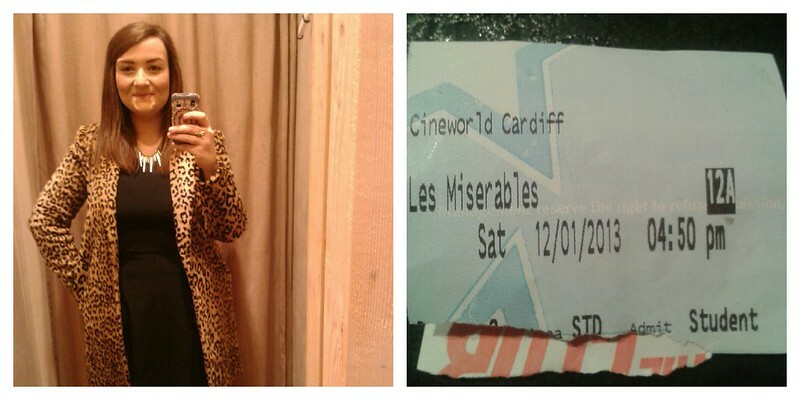 I was going to see Les Mis this weekend, but the snow has kind of put a halt on our plans :( Stuck in our flat! I WILL go at some point this week though, I need to see it!